The internet marketing world, like anything else, is subject to trends and crazes. One of the biggest trends of these last few years is offline marketing. Technically, marketing is offline marketing, but what we’re really talking about is taking the skills that you’ve learned in the internet marketing world and applying them to offline business. You could set up an autoresponder at your local pizza shop, or create a website for your mechanic, or even get your hairdresser’s already website to move up the SERPs. Most of this can be outsourced, so all you’re doing is serving as a middleman… and it can be extremely lucrative! 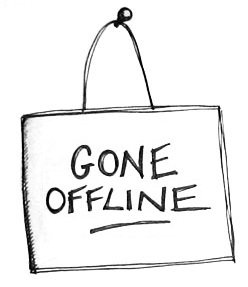 There’s indeed a lot of money to be made offline! The other quality you need is the ability to sell, and not minding talking to people. One of the advantages of internet marketing is that most of your work doesn’t require you to communicate directly with a lot of people. When internet marketing you don’t need to call people, you may simply email them or even chat with them on Skype or GTalk. Going offline, on the other hand, is going to require you to actually cold call people and talk to them, and that may be an obstacle. Likewise, it requires the ability to sell, which is not a skill that everyone possesses. If you don’t have it, you might consider looking elsewhere for business opportunities. Yes I have gone offline and started with a postcard campaign directed toward experienced marketers that lead them back to EatFreeFish.com Then I recently started using Drop Cards to bring people to TiredOfBroke.com which encourages them to watch a video. That way I still don’t do any selling, I just do the attracting and let the website and video do the selling for me. I have had good results so far and no longer get frustrated when online advertising fails. I have to comment on this from the perspective of using a mixture of Offline and Online Marketing has proven to be very profitable. Personally, I use postcard campaigns to those serious about working from home or are already in the Network Marketing industry. The postcards then point them to my website where they find out how to use the very same mixture of marketing methods. Just as Warren had learned, this is the most profitable (ROI) method of marketing. I personally have never given post card marketing a full go, but it is on there, on the list to start doing. As you said in another comment, it has been going strong for over 19 years, before the internet as we know it even existed! I know someone who does it very well, with great tracking methods in their offline business, and it is part of how they grew to a billion $ company over the last 32 years! Thanks for the insightful comments Todd, really a great read!